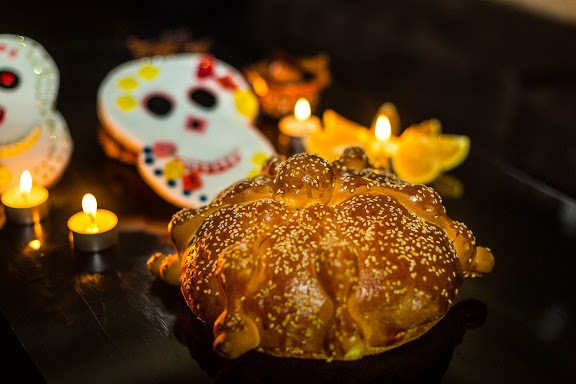 Celebrate Dia de los Muertos this year (November 1 and 2) with traditional Pan de Muerto from the AAA Five Diamond Grand Velas Riviera Maya. Considered one of the most representative holidays of Mexican culture, Day of the Dead is a time to pay respects to loved ones who have passed with bright and colorful altars. Served at each dinner and offered throughout the day, pan de muerto comes in different styles and shapes. The most popular is round, covered with white sugar, with strips that simulate bones. There are also those in the shape of skeletons. The ingredients may vary depending on the region, as in the case of bread covered with sesame seeds from Mixquic or covered in pink sugar from Mexico City. 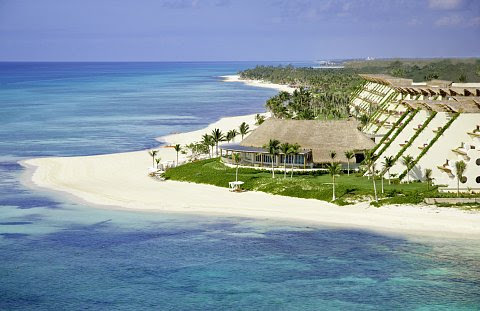 The characteristic taste of the bread from Grand Velas Riviera Maya is the Flor de Azahar (Orange Blossom). If you can't make it to Riviera Maya to Mexico's Foodie Resort for Dia de los Muertos, try the recipe below make at home. Combine the nopal, onion, tomato and coriander in a bowl, add ¼ C lemon juice and season.